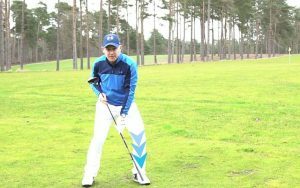 One way to hit longer golf drives is to stop swaying in your backswing as this inhibits your ability to rotate and load your right glute correctly. 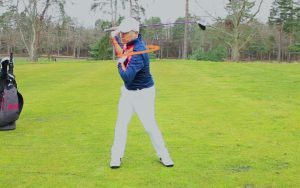 Swaying also leads to timing issues, as you have to get back to the ball from the place you’ve moved to. 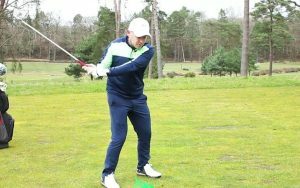 In this video, PGA Professional Dan Whittaker talks you through the problem and offers some simple drills that will help you harness the potential power from the ground. 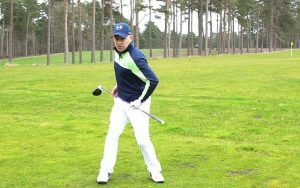 One great visualisation is to turn your hips like you are stood in a barrel to stop unwanted lateral movement. 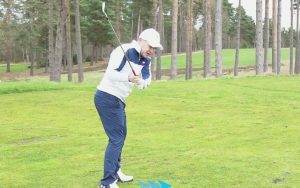 Feeling as though you’re weight is loading into your right thigh and heel in the backswing is another great swing thought.